Grading examinations are held in December, March and July. Through the more junior ranks, students will likely grade every 3 to 4 months. 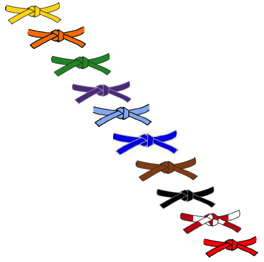 As students move to the more senior kyu ranks, the time interval between gradings increases. Through the dan ranks, an interval of many years occurs between each grade, consequently, high dan grades are extremely rare.